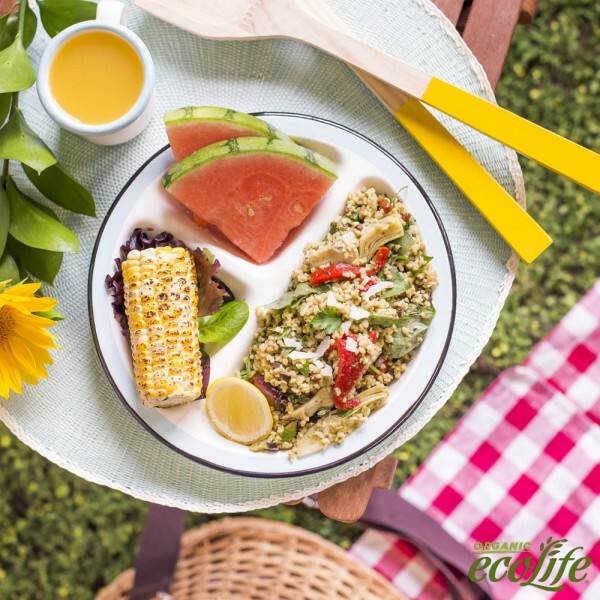 Bring 2 ½ cups water and 1 cup of ecoLife® Organic Quick Cook Freekeh to a boil in medium saucepan. Cover and reduce heat to a simmer. Cook for 10-12 minutes, or until water is While the freekeh is cooking, make the pesto. In a food processor, combine kale, garlic, almond, oil, parmesan, salt and peppers. Process until nice and smooth. Combine freekeh, marinated vegetables, parsley, basil, lemon, pesto, and mix until evenly coated in the pesto. Season with more salt and pepper to taste.